If you’re an artist or designer (whether you’re doing it for a living or as a hobby) then a monitor is probably one of the most important pieces of kit you’ll ever buy, so it’s worth investing a little time and money, and doing it right. 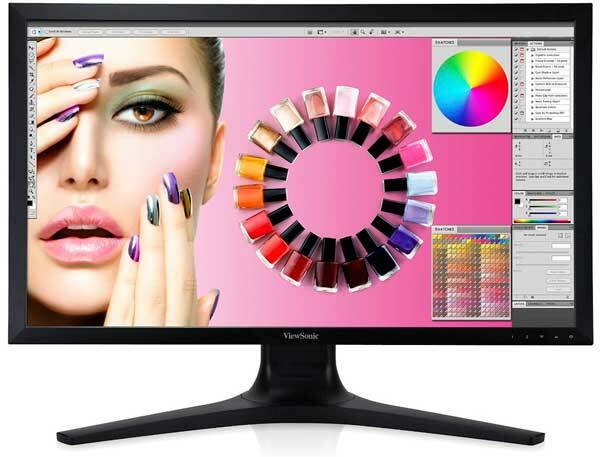 Luckily for you, we’ve already invested the time to save you some of yours*, so have a look at our top three picks of the best 27 inch monitor for graphic design & arty types. *Sorry we can’t invest any of the money for you, you’re on your own with that one. 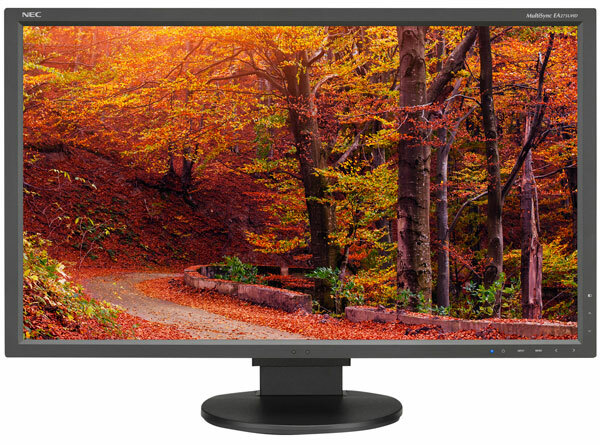 This Ultra HD 4K Monitor has a very desirable 3840 x 2160 res and IPS. The Dell P2715Q also boasts 99% sRGB straight out of the box, although it wouldn’t hurt to have calibration tools on standby for fine tuning. Connectivity is more than adequate with DisplayPort 1.2 means that you can easily Daisy Chain with other monitors, and this plus the cable control make it all very neat and tidy. Speaking of which, the Dell is a very tidy model thanks to built in cable management, and that allows you to really take advantage of the impressive ergonomics. Obviously the Dell P2715Q isn’t going to be a great choice for those running Mac or Linux, but for Windows users it’s a fine pick. There have been scattered complaints about mouse lag and it’s not the ‘sexiest’ of hardware, but with a RRP of $699 , this monitor is definitely a good, cost effective option for designers. Another UHD with IPS, the ViewSonic VP2780-4K gives you a rather impressive 14 bit 3D LUT as well as pre-calibrated Delta E≤2 for truly stunning colour. 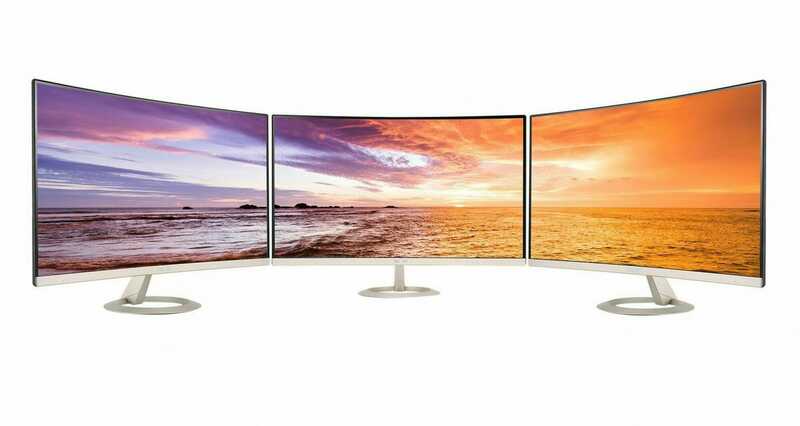 DisplayPort 1.2 and HDMI 2.0 have prompted the manufacturers to label the ViewSonic as futureproof in their own blurb, and such amazing connectivity definitely makes for a striking refresh time (60hz). Multi picture functionality is definitely a plus for designers, giving you the freedom to view various projects simultaneously and making comparisons with reference images and the like far easier. The price tag is a little heftier than the Dell at $899 and the base is kind of bulky but I’m afraid that’s the price you pay for colour like this! So Dell’s response to the Mac 5k was to bring out this little beauty the UP2715K; a 5120 x 2880, 12 bit LUT, In-plane switching diva with ports in all the right places. The specs are sky high, but unfortunately so is the price, and with a RRP of $2499 it’s definitely not for the feint hearted. Having said that you’ll need to go a long way to find someone with anything really bad to say about the Dell. The biggest downside as far as I can see is that it’s not great for displaying low-res footage (you kind of get the feeling that that sort of thing is below it). Even the monitor’s aesthetics are superior, with sleek lines and a delicate base making it as nice to look at as it is to use. Let’s be honest here, when it comes to resolution size does matter and anything less than a 2560 x 1440 just isn’t going to cut it. 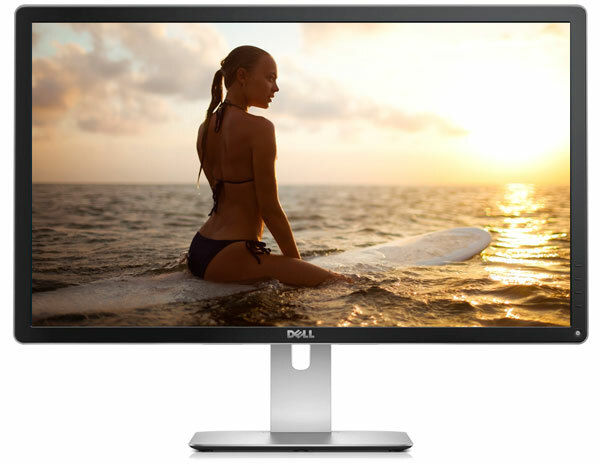 Ideally you want to be looking at an Ultra High Definition (UHD) monitor with a resolution of 3840 x 2160, but you can go higher, with Apple claiming dibs on the top dog spot with their 5120 x 2880 5k behemoth, until earlier this year when Dell launched a comparable model (see above). Obviously when you go above your standard Full HD you’re immediately looking at a big hike in price, but it’s definitely worth the investment in terms of clarity, and hopefully you’ll be future proofing your purchase to-boot. The holy grail of design based monitors is one that shows you colours as close as possible to those that will appear in print and this part is all about performance. Opting for a high spec model is key, so look for features such as Advanced High Performance In Plane Switching panels (AH-IPS) and a minimum 10 bit look up table (LUT). A 10, 12 or 14 bit LUT will allow you to perform frequent calibrations, which means that you’ll be able to keep on top of your palettes (although professional monitors will often come with integrated calibration tools, you’ve always go the option to buy third party if they’re lacking). You’ll need an HDMI port of course, but remember that if you’re opting for UHD then your graphics card will require two of its own. The card will also need to support Multi Stream Transfer (MST) if you want to get the best resolution with a fast refresh rate. Other ports you’ll require are DisplayPort 1.2 and dual link DVI. You’ve probably noticed that I’ve picked two Dell monitors. Am I biased? Yes. I’ve always used Dell for design and their latest offerings are just as good as they’ve always been. Of course that doesn’t mean you can’t shop around, but if the reviews on the wonderful world wide web are anything to go by I’m not the only one who rates Dell. Having said that the ViewSonic is an unexpected but very welcome contender and definitely one I’ll be keeping an eye on in the future. So do we have a winner? Well of course I was always going to go for the P2715Q in terms of definition and, as far as artists are concerned, this one is the full package – looks, performance and specs are all spot on. Unfortunately, considering the price tag, it simply doesn’t offer enough given that the ViewSonic provides only slightly lower specs (and in fact better LUT) for virtually a third of the price. However, my overall favourite is the P2715Q. 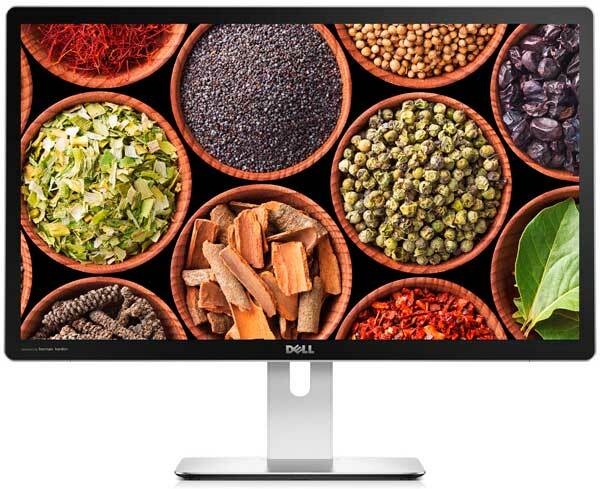 Call me a Dell groupie but I’d choose this monitor even if it wasn’t the cheapest, and the fact that it is, is just the icing on the cake!